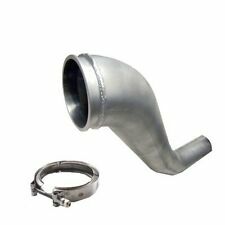 KIT, DOWNPIPE, 4in, TURBO-DIRECT, W/ V-BAND CLAMP FITTING HX40; ALUMINIZED: DODGE. 1997 Dodge Ram 2500. Weight: 9 Lbs. &nbspCardone SelectPart Number: 2t312. &nbspChryslerPart Number: R5010278AA. Interchange Numbers &nbspChryslerPart Number: 3802994. Manufacturer Number: 667-007. California Proposition 65WARNING: Cancer and Reproductive Harm ?. 02-08 3rd Gen Dodge Ram Cummins 5.9L 24V Diesel. Chassis:02-08 3rd Gen Dodge Ram Cummins. This is a New Intercooler Piping kit Developed By CXRacing From Ground Up. Piping Kit Polished Aluminum Piping kit. CXRacing FMIC Intercooler kit For 89-91 Dodge Ram Cummins 5.9L Diesel. Intercooler Piping Silicon Hose T-Clamp Bracket. All Aluminum polished 2.0mm thick pipes all the way, matching Intercooler inlet and outlet size, provides the best air flow from Turbo to Throttle body. Fits OEM # 3523294. 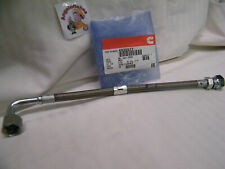 For Cummins 6BTA Diesel Engine. High Quality Turbo, Each one is Computer Balanced and Tested. Item #CXM-TRB-H1C-23294. Photo Gallery. CXRacing 3.5" Intercooler Piping Kit For. This is a New Intercooler Piping kit Developed By CXRacing From Ground Up. All Race Cars Below Use CXRACING Products. 94-98 Dodge Ram Cummins 5.9L 12V Diesel. 2003-2007 Dodge Ram Cummins 5.9L Diesel. One CXRacing Intercooler For. 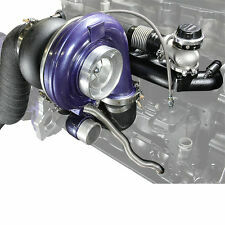 This Intercooler is Developed from Ground Up by CXRacing, Fully Tested, Lowers EGR By 200 . Core is High Flow Bar and Plate Construction, Provides the Best Cooling Capacity. Steel HX40 flanges are machined to allow use of 4in.16 ga. or 3.5 in. Use for making down pipes or hot pipes. 12CM2 3539369 3802992 3537815 3539369. 12CM2 3539369 3802678. 12CM2 3539369 3802841. Dodge Ram 1996 6BT5.9 Auto 12V 180 HX35W. Dodge Ram 1997 6BT5.9 Auto 12V 180 HX35W. Dodge Ram 1998 6BT5.9 Auto 12V 180 HX35W. This part was removed from a running 1998 Dodge Ram 2500 with a 5.9L Cummins 24 valve diesel. It will fit many other years and models. Examine the pictures carefully to make sure this part will work in your application. All Race Cars Below Use CXRACING Products. Chassis: 03-07 Dodge Ram Cummins. This Flange Replaces Factory Intake Heater, for Better Airflow. Elbow Intake Pipe is NOT Included. "Spectra Intercooler --. Condition : New. Therefore all implied warranties that may apply to your part are limited to the duration of this written warranty. Each warranty gives you specific rights, and you may have other rights which vary from state to state. 2005 Dodge Ram 2500. Weight: 7 Lbs. &nbspCardone SelectPart Number: 2t302. Interchange Numbers &nbspChryslerPart Number: R5143256AA. Manufacturer Number: 667-002. California Proposition 65WARNING: Cancer and Reproductive Harm ?. OEM CUMMINS TURBO DRAIN TUBE AND GASKET. Genuine Cummins Turbo Oil Feed Line for 5.9L 24v Cummins 1998-2002. 94-98 Dodge Ram Cummins 5.9L 12V Diesel. CXRacing 3.5" Intercooler Piping Kit For. Chassis: 94-98 Dodge Ram Cummins. Engine: Cummins 5.9L 12V Diesel (Not for 24V). This is a New Intercooler Piping kit Developed By CXRacing From Ground Up. (3599811 4089392 R5086863AB A- R5086863AB 5086863AB 05086863AA R5086863ABT. Emission Engines ONLY). Will this fit my car?. Accessories: You will get exactly as shown in the picture above. Important notice. CXRacing Intercooler Piping Kit For. T his is a New Intercooler Piping kit Developed By CXRacing From Ground Up. Huge Upgrade Intercooler is NOT included. Connects to Factory Intercooler. 02-08 3rd Gen Dodge Ram Cummins 5.9L 24V Diesel. 2007 - 2012 Dodge Ram Holset Cummins 6.7 HE341VE HE351VE Turbo Rebuild Kit. Cummins 6.7 VGT Turbo Rebuild Kit. Small Screw orings (4). Large Orings (2).